Does anyone know what race or series this is from? 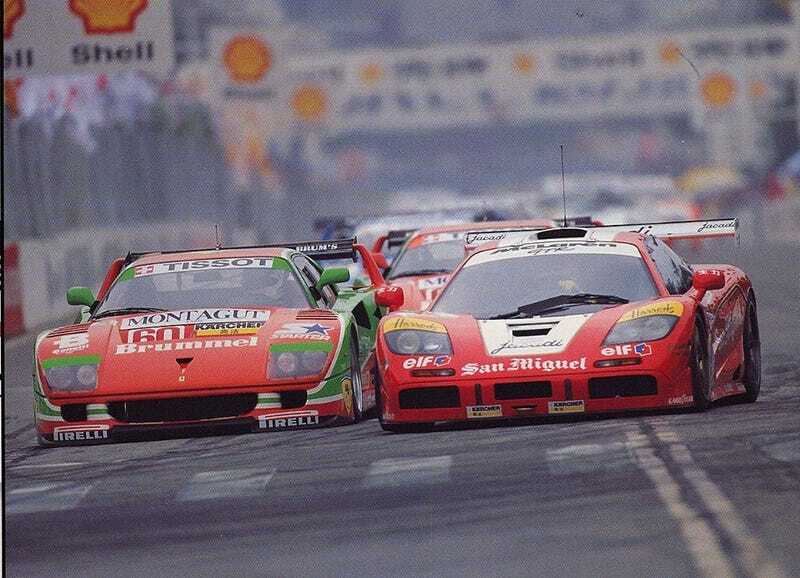 I can imagine an F40 and F1 fighting for the lead (among others) would make a very entertaining event. EDIT: Thanks to my fellow Opponauts I now know this is from the BPR Global GT Series, the precursor to the FIA GT Championship. Neato.